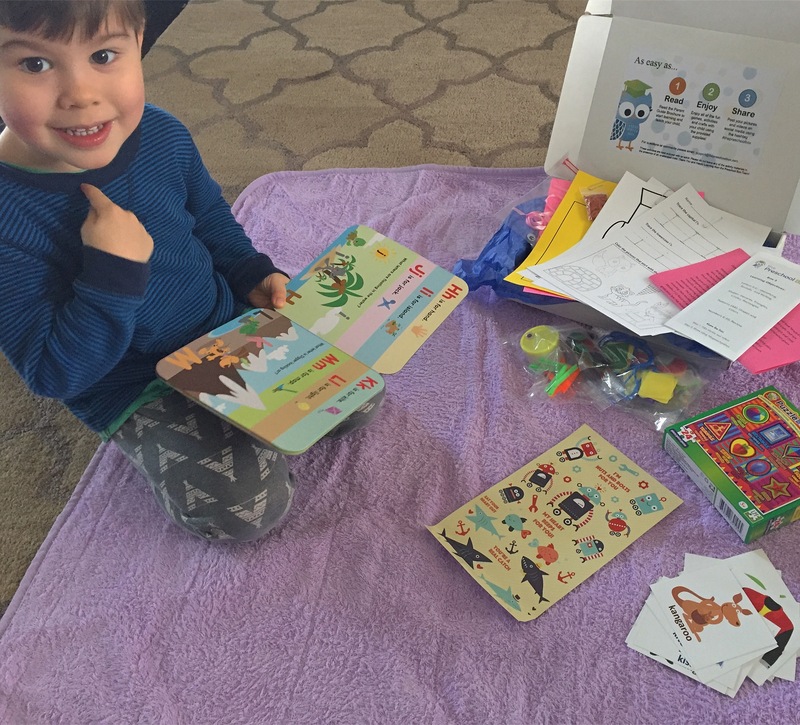 Book – Westy absolutely loves books, he’s such a quick learner and this book is very helpful for learning the alphabet and recognizing the alphabet and letters. Puzzle – Another favorite of Westy’s, he can finish a puzzle without even look at a picture of what it should look like! Stickers – Super cute robot and fishy stickers! These were used up in no time! Flash Cards – Letter of the Day – a fun way to learn new words, and pronounciation.